Meet the Beatles for Real: How do you sleep? Love this photo from the newly released "How do you Sleep" video. 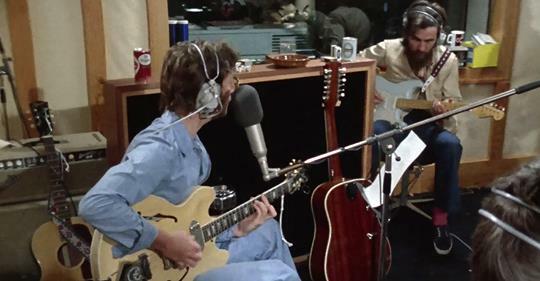 John and George getting their angry feelings about Paul out in the studio. I think everyone in the room chimed in with a word or two (or three or four!) At least Ringo had a bit of backbone.